This past weekend, we've been enjoying some of the last nice weather for this year. Fall is definitely here, but it was bright and sunny and the sun just made me happy. 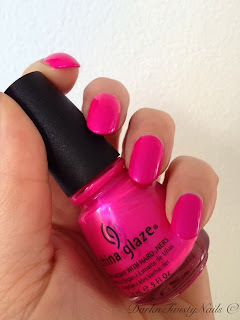 So I decided to take advantage and rock a neon polish! 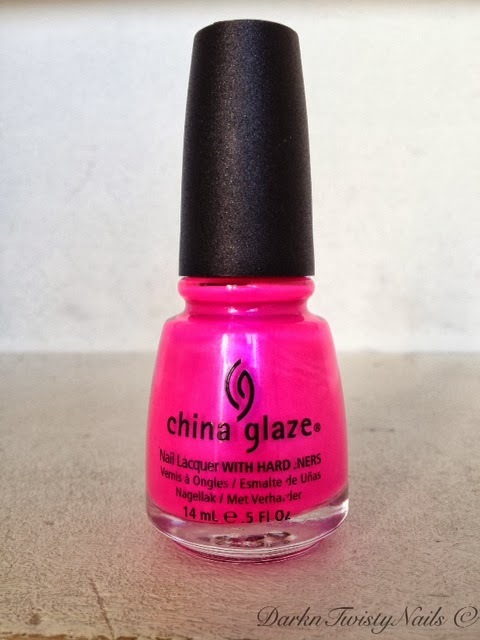 I decided to grab one that a friend of mine raved about and I had to get it because she just couldn't stop talking about China Glaze Purple Panic. Get your sunglasses out, because this baby is BRIGHT! This polish was part of the 2006 Wow factor collection, but you should be able to still get your hands on it fairly easily. Formula wise, I was actually really impressed with this polish. normal neons are a pain to deal with, streaky, goopy and patchy, but this wasn't to bad. Don't get me wrong, it still wasn't a dream to work with, but it was opaque in just 2 coats and handled better than any of my other neons. It did dry extremely fast and a little matte, so I added top coat to make it shine. I like them matte, but I love them shiny! I really like this polish, but I don't know... it's just so... PINK! 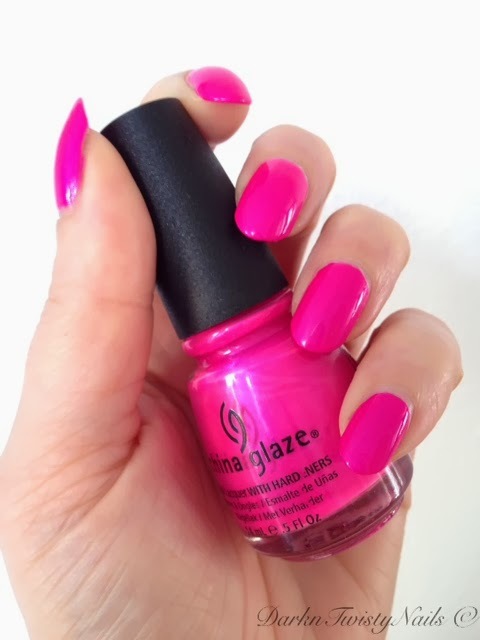 I'm not really a big fan of pink nails, but I like the brightness of this polish and when I'm in the mood for pink nails, I tend to go all out and that's exactly what this polish gives me. What do you think about pink nails and neons? That is a great colour on you, wondering why they called it Purple Panic? These are just amazing! Want!